Trustpower is an Internet Service Provider (ISP) headquartered in New Zealand. Their history dates back to 1915 as Tauranga’s first power station. Now, Trustpower has over 700 full-time employees working throughout New Zealand. Additionally, they own hydroelectric power generation stations and wind farms in Australia. 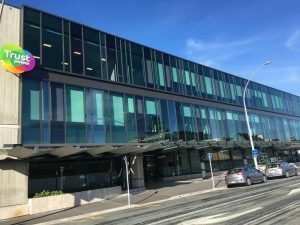 Along with electricity, Trustpower started to offer gas and Internet services to its customers a few years ago, as the electricity market in New Zealand is relatively congested. Trustpower has over 75,000 telecommunications customer connections, including phone and Internet services to over 25,000 customers on Ultra Fast Broadband (UFB). They are also one of New Zealand’s largest providers of UFB over fibre. One of Trustpower’s main issues was that they didn’t have full end-to-end control of all of their network elements. Instead, they had to rely on a third party to backhaul their customer traffic. This third party provided the connection from Trustpower’s customer’s premises to the local exchanges. In some cases, they had to rely on additional third-party vendors to pick up from the exchanges and backhaul to their POPs, where they would either backhaul or pay to have it backhauled to one of their POPs. Therefore, it was necessary for Trustpower to find a method of determining where issues were occurring so they could focus on the correct area of the network to work on. In the past, they had used network performance monitoring tools such as SmokePing, iPerf, and Ookla Speedtest, but needed more visibility. They even looked into creating probes and a central dashboard, but then discovered that NetBeez offers this as a plug-and-play solution. Trustpower has found the ability to aggregate data in a central dashboard to be very useful for their daily operations. Especially with scheduled tests, as they can now see how their geographically different network links are performing. Trustpower also expresses their satisfaction with proactive monitoring – rather than customers complaining, they can now determine and fix any issues before they reach the end-user. 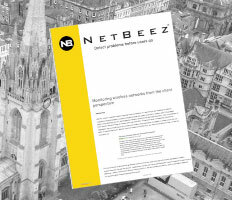 “We have found Netbeez to be invaluable in illuminating areas of our network that we would normally not be able to see, to quickly be able to make an issue determination and remediation plans,” Sanders said. They have a cross-section of locations that they regularly deploy NetBeez agents to; some locations are user’s homes, some are exchanges, and some are POPs. They run scheduled Speedtest and iPerf tests from these locations usually every 5-10 minutes to generate graphs showing their data over time. The challenges faced by Trustpower are not unique, but common to other regional, national, and international Internet Service Providers. Troubleshooting connectivity and performance issues on large and distributed networks is not simple and requires trained staff and the right network monitoring tools. As you can see, the implementation of a network monitoring solution from the user perspective offers an effective method to proactively detect and address issues like network congestion. If you want to learn more about this solution, schedule a demo with one of our network engineers.